Getting the Windows 10 ISO file is no longer a difficult task. If you have already upgraded your Windows 7/8/8.1 PC to Windows 10 then you can perform a clean install anytime by using the ISO file. If you haven't upgraded your computer yet then do remember that Windows 10 is still available for free in 2018. Avail this hottest offer of the year before it runs out. Whenever you want to do a clean install then the ISO file is required. Always make sure you perform the clean install with the latest version of the Windows 10 ISO because you will have to download few updates later. Most people still think that the Media Creation Tool is the only option to download the official Windows 10 ISO. But apart from the Media Creation Tool, there is a way to directly download the Windows 10 ISO from Microsoft. 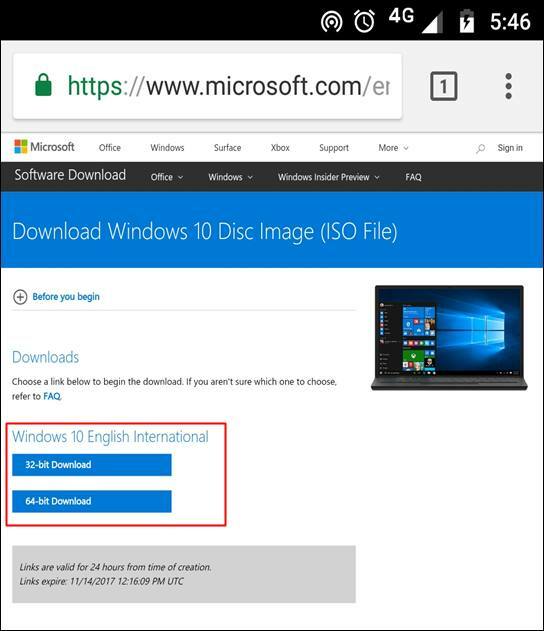 Microsoft provides two links for downloading the Windows 10 ISO. These two links work differently on a smartphone and a desktop computer. The description of these two links is given below. The above works only on desktop computer browsers like Google chrome, Mozilla Firefox, and Microsoft Edge. When you open this link on a desktop computer browser then this page will force you to download the Media Creation Tool for downloading the Windows 10 ISO. However, we don't want to use the tool and we will tell you a trick to download the ISO file directly. The above link works only on smartphones and tablets. If you are opening the above link on a smartphone or a tablet then Microsoft won't ask you to download the Media Creation Tool and will provide you direct links to 32-bit and 64-bit Windows 10 ISO files instead after going through a process of selecting right options. And if you open Link2 on a computer browser then it will automatically redirect to Link1 which will force you to download the Media Creation Tool. So if you want to download the Windows 10 ISO file without the Media Creation Tool on a desktop browser then you have to emulate a smartphone's or a tablet's screen in that particular browser to stop redirecting the Link2 to Link1. Follow the step by step guide to stop the automatic link redirect that prevents you from downloading the ISO file directly from Microsoft. Copy/paste the Link2 from above in your phone's browser. After opening the page tap 'Select edition'. Here select the latest available version of Windows 10 and tap 'Confirm'. Now select the language and again tap 'Confirm'. After selecting the language you will see two download links. These are the direct download links for 32-bit and 64-bit Windows 10 ISO. 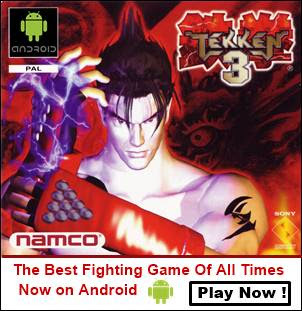 Tap the 64-bit download button as it may already contain the 32-bit setup files. The file size is 4.4 GB. Copy and paste the Link2 from above in a new tab in Google chrome browser. Hit enter to open the link. The link will automatically redirect to Link1 in Google chrome. Now press 'Ctrl+Shift+I' to launch 'Developer Tools'. Now after launching it press 'Ctrl+Shift+M' or click the 'Toggle device toolbar' button to open the device emulator. Click the device list and select 'iPad Pro' or any other smartphone. Set the screen size to at least 75%. Click the reload button to reload the page. You will see that the Link2 will not redirect this time. Now click 'Select edition' and select the 'Fall creators update' or whichever is the latest. After selecting the edition click 'Confirm'. Then select the language and click 'Confirm'. After selecting the language you will be provided with two links one for 32-bit and another for 64-bit Windows 10 ISO file. Click the desired link to start downloading the file. The file size is around 4.4 GB, so make sure you have a fast internet connection. The download links are only valid for 24 hours. The ISO file that you download will have multiple Windows 10 versions like the home and pro edition. Open a new tab in firefox browser and paste the Link2 in the address bar and hit enter to open it. Here also the Link2 will redirect to Link1. After the redirect press 'Ctrl+Shift+M' to launch the 'Responsive Design Mode' which will look like this below. Now click the 'no device selected' option and choose 'Apple iPad Mini 2'. The page will auto reload and the Link2 will not redirect to Link1. Disable the touch simulation by clicking the 'hand' icon before the camera icon in the toolbar above. Touch simulation should be disabled otherwise the mouse clicks will not work anywhere on the page. After disabling the touch simulation click the 'Select edition' option. After that selection the language. Then finally you will be given two links one for 32-bit Windows 10 ISO and another for 64-bit. The process is similar to Google chrome. Open a new tab in Microsoft Edge browser and copy/paste the Link2 from above and hit enter to open it. The Link2 will redirect to Link1. Now press 'F12' to open 'Developer Tools' in Microsoft Edge. Click 'Emulation'. From the 'Device' list select 'iPad Mini'. The page will auto reload and will not redirect this time. Now you will have to go through same steps that you saw for chrome and firefox. Select the Windows 10 edition. then select the language and get two links for 32 and 64-bit Windows 10 ISO. Download the required ISO file. If you are using a smartphone then Microsoft won't ask you to download the Media Creation Tool because it doesn't work on smartphones. And if you are using a PC then you to download the tool first. But with the help of developer tools in today's modern desktop browsers, we actually make the Microsoft site's think that we are accessing it from a smartphone or a tablet but not from a desktop. Therefore it won't redirect us to the link that is meant for running on desktop PC browsers which will ask you to download the Media Creation Tool by default. Below is a video tutorial showing how to download the Windows 10 ISO without the media creation tool. If you liked the article then please take two minutes to share it.